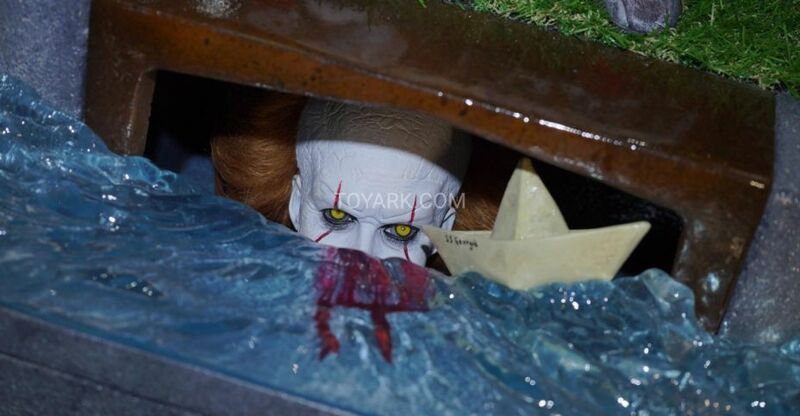 NECA came out swinging with a ton of new Horror figures for Toy Fair 2019. Halloween 2, new 6″ cartoon style horror figures, They Live, Trick ‘R Treat, Nightbreed and more! They revealed that they will be staring a “Conjuring Universe” line, featuring the creepy characters from the long running film franchise. Other licenses presented here are IT, Friday the 13th, Gremlins, the Guillermo del Toro Signature Collection, and others. Check out the list below for the full breakdown, and see the photos by clicking the headline of the story. 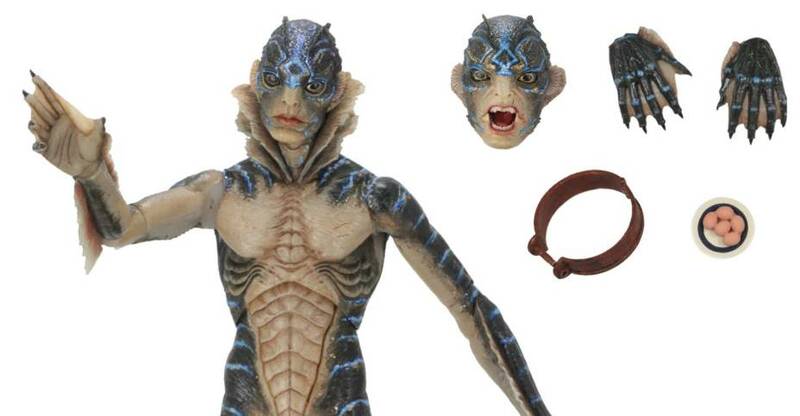 NECA has shared official photos and details for their upcoming The Shape of Water – Amphibian Man 7″ Scale Figure. The figure is part of the Guillermo Del Toro Signature Collection. It will include interchangeable hands, two interchangeable heads, removable shackles, and a specialized display base. It is set for release the third quarter of the year. NECA’s collaboration with renowned movie director Guillermo Del Toro brings select characters from Del Toro’s films to life in premium action figure format with deluxe added elements. From the acclaimed film The Shape of Water, the Amphibian Man stands approximately 8” tall, is super-poseable and comes with removable shackles, interchangeable head and display base. Collectible deluxe window boxed packaging. Elite Creature Collectibles had numerous high quality statues and busts on display at San Diego comic-Con 2018. these included the Amphibian Man from The Shape of Water, Pennywise from IT 2017, The Bride from Kill Bill and many more. Click the headline of the story to see the photos. Lots of goodies in NECA’s horror and sci-fi selection. 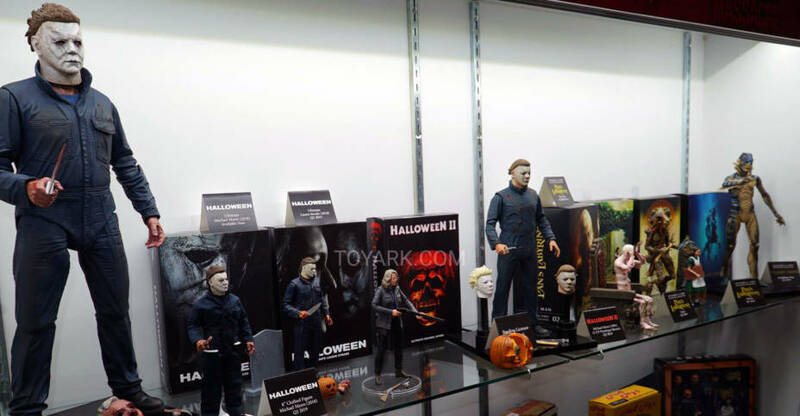 They seem to have a Halloween Michael Myers figure on display, hidden under a cloth! 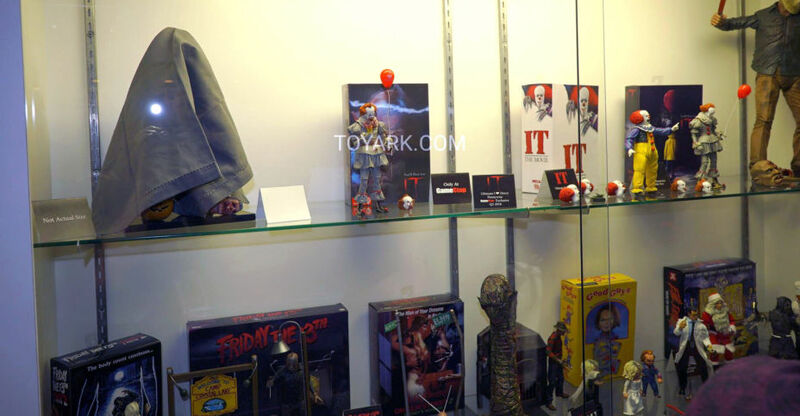 Also show is John Connor and Kenner figures from Terminator, new Child’s Play, more Guilermo del Toro figures, a few new Godzilla items and Gremlins.